We have been building raingardens for years and they are nearly always included in every one our projects, along with other Low Impact Development techniques. We have a collection of our work on our portfolio here and here, as well as a collection of pictures for inspiration for clients on a Pinterest board. Jessi has recently been contracted by the Department of Ecology to teach seminars to the landscape industry about upcoming regulations on the subject and has been teaching seminars on Rain Wise Gardening to the public for years due to a steadily growing interest. 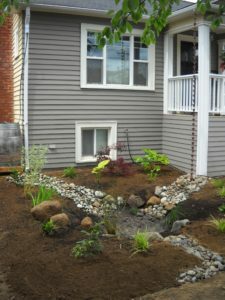 Ever since the Seattle Rainwise Program launched, we have seen more and more demand for raingardens and the various ways to manage stormwater, which is fantastic! 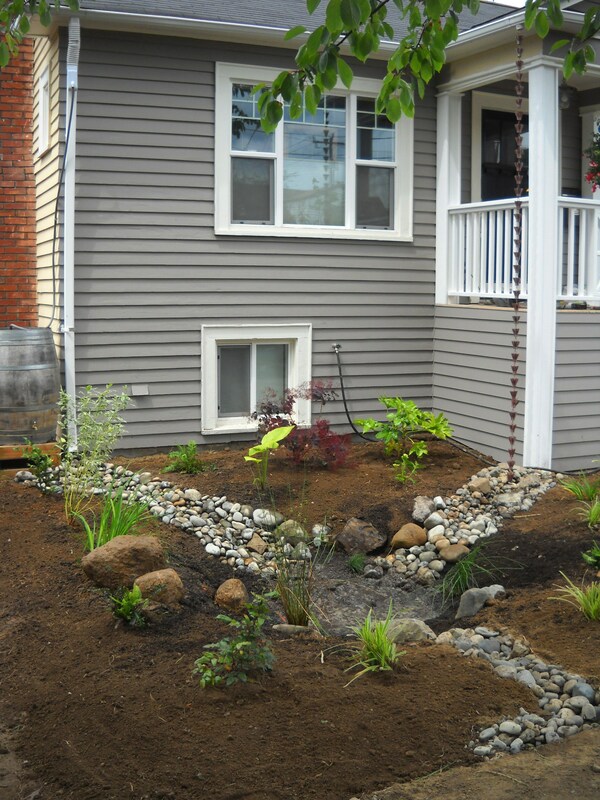 This picture was taken during the construction of the first Seattle RainWise rebate project in Ballard WA. We are looking forward to seeing these LID techniques implemented in all construction projects and are excited to be at the forefront of these changes. It is great to have so much support from local jurisdictions who are making it all happen, and supplying us with these great resources!